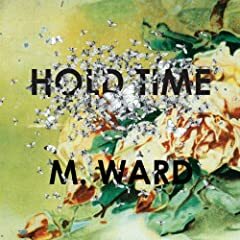 On Hold Time, M. Ward explores individual spirituality, philosophy, mortality, love, forgiveness, and the sweep of time. The usual. But in addition to the usual universal themes, and the familiar techniques in his unique songwriting style, there's a new swagger in his songs, a new danceability to them. Maybe his collaboration with Zooey Deschanel sparked something in his creative center. I know it's early to start naming best-of's for 2009, but of all of this year's releases so far, and there have been some good ones already, I'm stuck on this one. Here's a song that I imagine the great Daniel Johnston would appreciate. I'll be seeing him at the Trocadero Theater in Philadelphia on Feb 20th (one of the few U.S. shows that is not sold out), with the Vivian Girls opening. How good is that going to be. If you'll be there too, let me know.